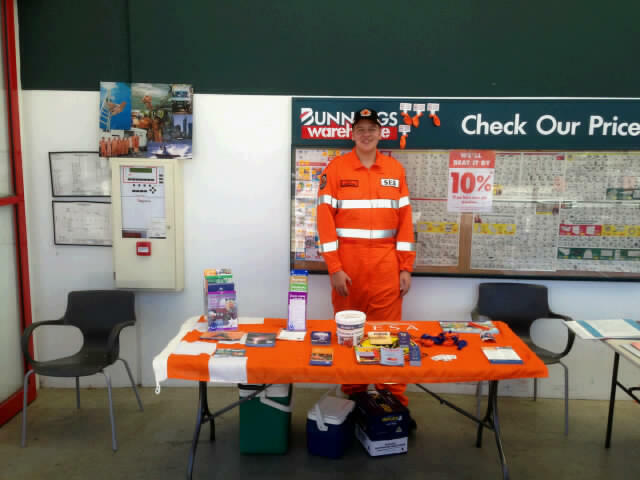 Today and yesterday our team has been down at Gateways Bunnings, to fundraise and let our community know all about Cockburn SES. Community engagement is important to us and these events also give us the opportunity to talk directly with members of our community. The event was a success and a great time was had by all. Above is a pic of Alex, ready to fundraise away.